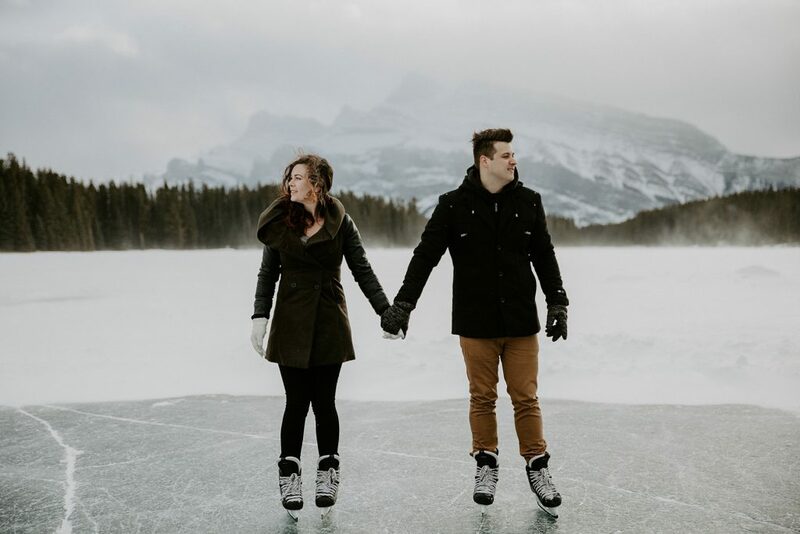 Brenda and Darren went skating for their Two Jack Lake engagement session. 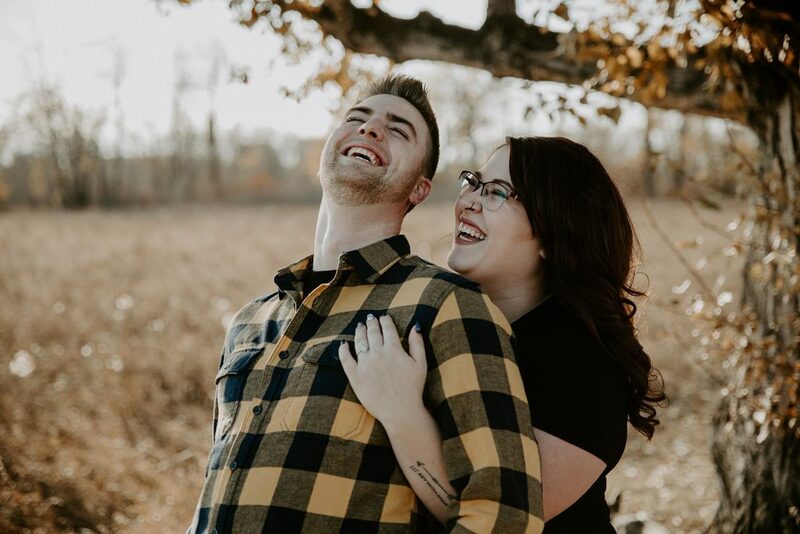 We arrived about 15 minutes before them, and all was calm - then as soon as they arrived a huge wind storm hit. 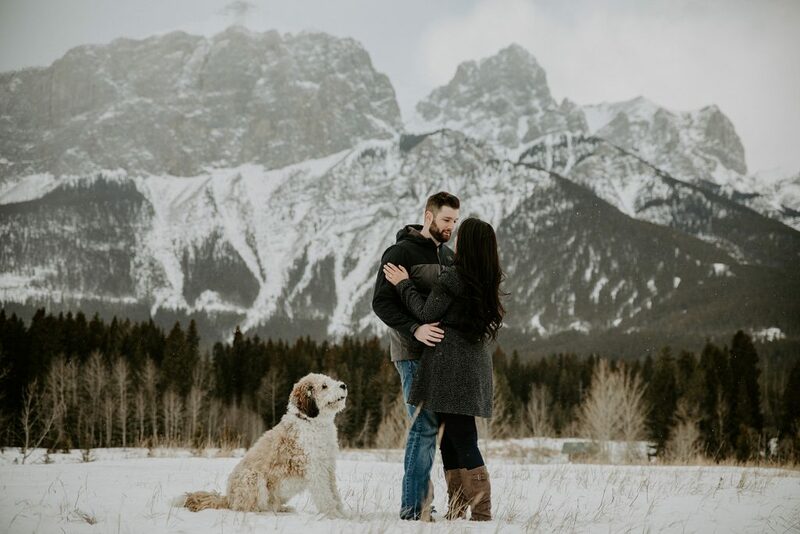 For Kelsey & Mark's Canmore engagement photos, we headed over to Quarry Lake Park accompanied by their excited not-so-little pup Gus! Gus was having a blast - I mean a dog park in the mountains, dream come true right? 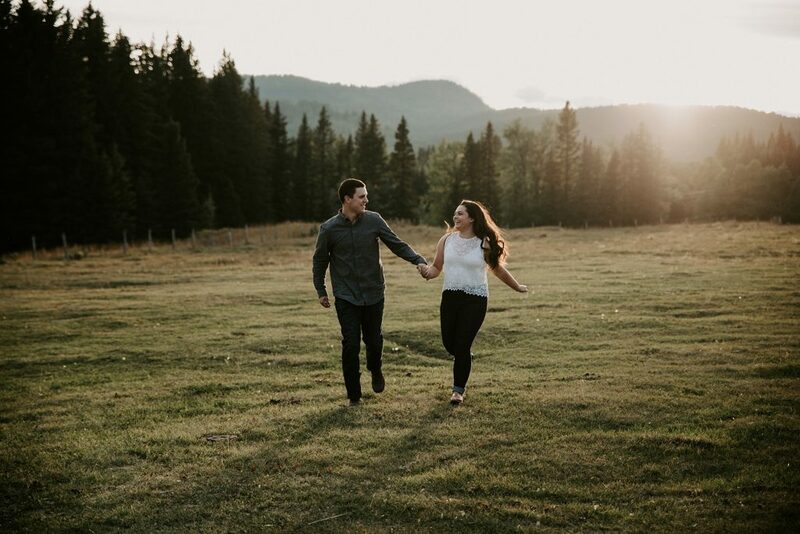 You would think that this St Albert Engagement Session would have been in mid winter - but nope! It was mid September! 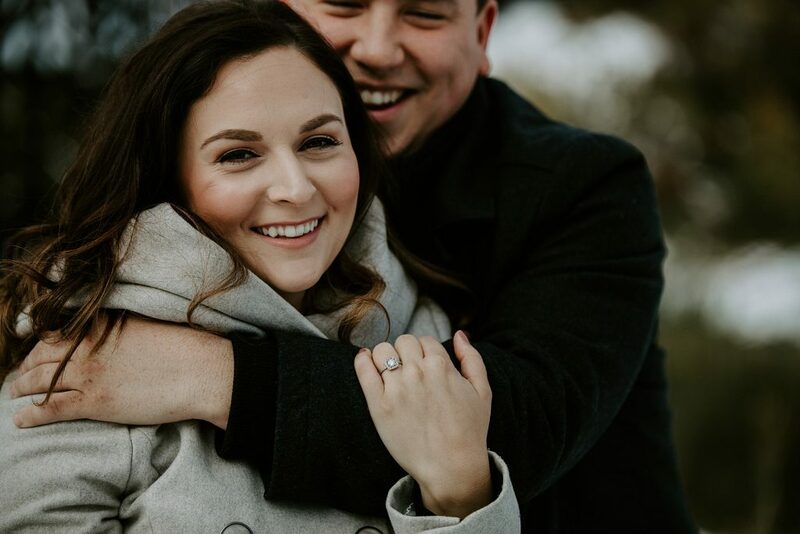 We got dumped on with snow, but that didn't stop Elise & Jordan and their excitement! 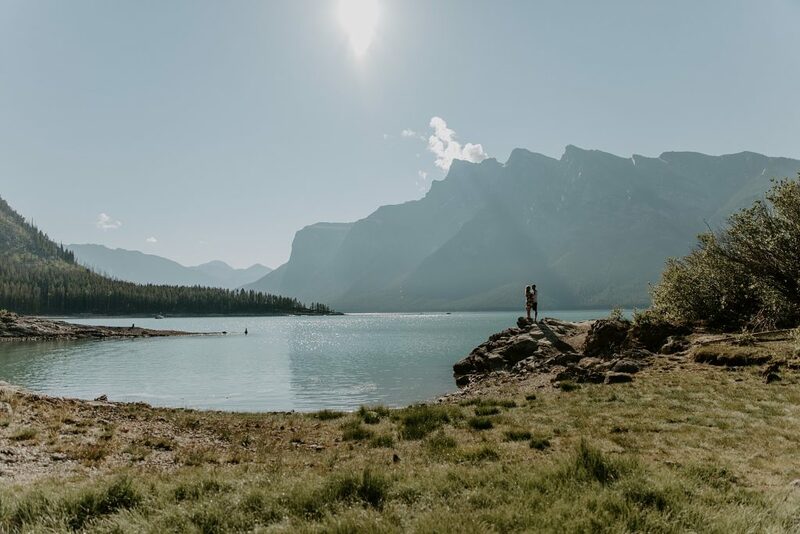 We woke up early and headed to the mountains for Nicole & Mike's Lake Minnewanka engagement session - and it was so worth it! The light was beautiful coming through just a little bit of fog, and best of all - hardly any tourists at this time.